Boarding up from £75 plus VAT for typical window. 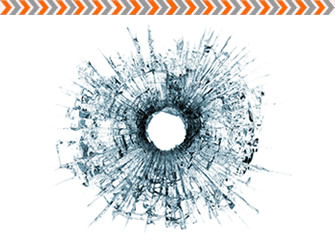 When shops, businesses, factories, and homes suffer vandalism, fire damage or accidentally broken glass windows and doors you need assistance straight away. Not only because a broken window is potentially an open invitation to thiefs, burglars and squatters but just for the practical reason of keeping the weather out. At Homescure 24hr Ltd we offer a 24 hour, 7 days a week, 365 day a year service to protect your premises against all of these threats - with absolutely no call out charge, day or night. We will arrive promptly with all the necessary materials, safely remove any remaining glass and quickly secure the property with 11mm Sterling Board, as recommended by Glass and Glazing Federation. Plus we always do so in as non-destructive a manner as possible. Nobody wants the worst to happen to their premises, but if it does, make sure you get the best at securing and repairing the damage.